Just six months after the release of her universally-acclaimed hit album Sweetener, Ariana Grande has done it again with Thank U, Next, which was released February 8. The first album she has released since the death of her ex-boyfriend Mac Miller and her highly-publicized breakup with former-fiance Pete Davidson, Thank U, Next has all the components of a catchy mainstream pop album while still managing to feel highly personal. We’re going track-by-track to break up this incredible album, so slip on your “7 Rings,” and let’s dive in! The album starts off with “Imagine,” the second single released from Thank U, Next. 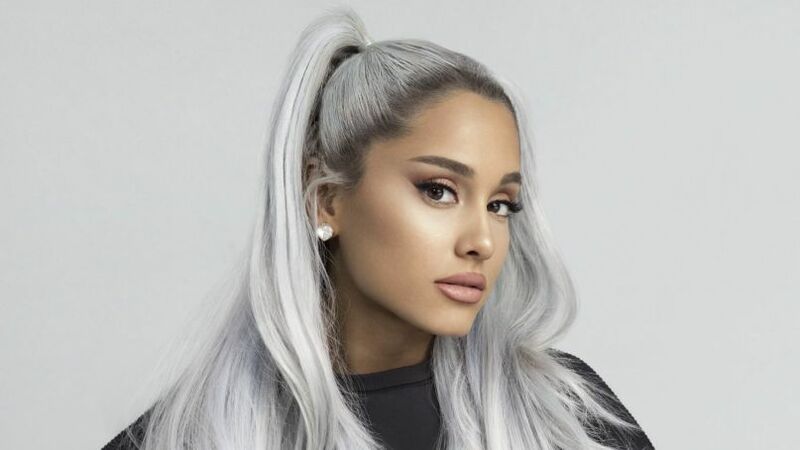 Grande revealed via social media that this song focuses on denial, and when one listens to the lyrics, ‘Imagine’ is really quite a heartbreaking song. It describes an idyllic night between a couple, lyrics such as “stayin’ up all night” and “love how my face fits so good in your neck” giving the impression of a romantic, yet simple and easy connection. However, when Grande sings “imagine a world like that,” the listener realizes that what she is describing is, sadly, nothing more than a fantasy. Often, fans of major celebrities are led to believe that their idols are perfect. In “Needy,” however, Ariana Grande shatters this illusion by apologizing for a number of flaws. “Needy” feels almost like a confession, with lyrics such as “I can be needy, way too damn needy” and “sorry that I think I’m not enough,” illustrating her insecurities and their effects on her relationships. Despite her recognition of what she sees as shortcomings, Grande still craves validation, requesting that her lover “tell [her] how good it feels to be needed.” After listening to “Needy,” the listener feels closer to Grande after being exposed to a more human, less indestructible side of her. A standout track and the first truly “dance-able” song on the album, “NASA” is upbeat, confident and clever. With a faster tempo than the previous songs on the album and a more repetitive chorus, “NASA” is incredibly catchy, and even though the message is still highly personal, it manages to come across as lightweight (just not quite zero-gravity). In this track, Grande makes use of the double meaning of the word “space” in order to explain that she needs to distance herself from a romantic partner in order to “self-discover” and become more independent. Lyrics such as “I’m a star” and “keep me in your orbit and you know you’ll drag me under” are entertaining and cleverly make use of the space theme. Next up is the completely and utterly movement-inducing “Bloodline.” The heavy-pop track details the thought process behind a casual, no-strings-attached hookup and is almost impossible to listen to while keeping completely still. The song has a lot going on musically and is very heavy on the beat, adding to the air of extreme confidence as Grande fiercely lays down what she does and doesn’t want. 2018 was undoubtedly a difficult year for Ariana Grande with the death of rapper Mac Miller, who Grande had dated for two years, and the calling-off of her engagement to comedian Pete Davidson shortly thereafter. In “Fake Smile,” Grande accepts that she is not in the best place at the moment, singing “I won’t say I’m feeling fine” and “if I’m hurt, I ain’t gon’ lie about it.” In this track, Grande dismisses any expectations for her to act like everything is okay, singing “f*** a fake smile” as she accepts where she is in life right now and allows herself to embrace and feel fully the emotions life has thrown at her. “Bad Idea” focuses on the dilemma of being drawn to someone you know is bad for you, but not being able to let them go. Lyrics such as “I’ma call you over here to numb the pain” suggest that such an encounter with the unnamed subject is unhealthy, as the compulsion stems from the need for some type of relief or distraction. In other words, Grande desires the results of the connection but not the connection itself, even if the results are only temporary fixes to deeper issues. Lyrics such as “I know we shouldn’t” and “why can’t I let go of it?” suggest self-destructive tendencies, as she knows that she is putting herself in a position to get hurt yet still continues due to her lack of control. After “Bad Idea,” Grande offers up a much less dramatic take on reconnecting with someone in “Make Up.” The song’s chorus states “I love it when we make up, go ‘head ruin my makeup,” suggesting that Grande is so happy to be back with a partner after a fight (especially due to the sexual encounters that result) that she cares little about much else, especially trivial things such as messing up her makeup. She even goes as far as to suggest that she sometimes incites conflict just so it can be resolved. “Make Up” is cute but forgettable, and serves its purpose well enough as more of a “filler” song among the more outstanding tracks on the album. In the words of Ariana Grande via her Twitter account, ‘Ghostin’ is about “feeling badly for the person you’re with [because] you love someone else.” Trying to connect a song to the artist’s personal life is always a slippery slope, but the picture “Ghostin” paints of feeling guilty for crying over an ex in front of your current partner clearly connects to the stress tragedy put on her most recent relationship. The slow pace of “Ghostin” and the absence of a real beat/bassline adds nice variety to the overall sound of the album, showing a wide range of capabilities. The musical simplicity also allows Grande’s soothing vocals to shine in this powerful, tragic, and emotionally potent song. The meaning of ‘In My Head’ isn’t difficult to figure out, as it is essentially explained in a brief audio clip played at the beginning of the track, stating “you’re in love with a version of a person that you’ve created in your head.” Indeed, lyrics such as “they see demon, I see angel” and “I invented you” craft the narrative of falling in love with an idealized version of someone and then fully feeling the pain that comes with the realization that that ideal person does not actually exist. This song may give listeners insight into the difficulties of being able to trust someone again after the feelings of confusion and deception when that result from finally seeing them for who they truly are. Arguably one of Grande’s more controversial songs (and not just because of the barbecue tattoo debacle), “7 Rings” unabashedly discusses the singer’s immense wealth and flaunts her ability to buy anything she wants, including seven rings from Tiffany’s for her friends. As fellow Affinity Magazine writer Tracy Fuentes put it: “While listeners may not be able to relate to her lyrics, many love the confidence the song emulates.” One must wonder what kind of message the hyper-obsession with wealth in the song is sending to Grande’s fans, but her independence is enviable and her confidence is contagious. Whether or not you are a fan of the song or agree with the message, however, listeners are sure to be singing “I want it, I got it” long after the song has ended. There could not have been a better song than ‘Thank U, Next’ to serve as the album’s titular track or Grande’s very first No. 1 on Billboard’s Hot 100. Released shortly after her highly-publicized split with Pete Davidson, everyone expected “Thank U, Next” to be a diss track, but what we received was so much better. In what is arguably one of the greatest breakup songs of all time, Grande calls out each of her exes (by name!) and thanks each of them for what they taught her but then also applauds herself for her strength and for being able to handle the pain that life has thrown at her. Instead of trying to forget her failed relationships, Grande celebrates them in “Thank U, Next,” and also cherishes her relationship with herself in lyrics such as “this one gon’ last ‘cause her name is Ari.” Even though romantic partners will come and go, she will always have herself, a relationship Grande seems more than happy to be in. The final track on the album, ‘Break Up With Your Girlfriend, I’m Bored’ at first glance seems like a typical thirst-anthem about wanting a man who is already in a relationship. Her music video for the song, however, introduces another possible meaning. In the video, it appears as if Grande lusts over a man, but at the end, she unexpectedly goes in for a kiss with his Ari-lookalike girlfriend. This introduces the possibility that Grande is singing the song to her own partners, asking them to break up with her as she would much rather be with herself. There is much debate surrounding the meaning of the song, but regardless of how you view it, it’s a fun and catchy track to finish off an amazing album. After the critical and commercial success of ‘Sweetener,’ it was difficult to imagine what Ariana Grande could put out next that could possibly compare. Instead of letting grief consume her after the hardships she faced in 2018, Grande took everything she was facing and put it to use, forcing the pain to work for her and fuel this incredible album. With an impressive variety of songs and common themes of reflection and self-empowerment, “Thank U, Next” just might be Grande’s best album as of yet.